How does marketing contribute to the bottom line? This is a common question being asked in boardrooms, and there are many diverging views on the topic. It’s time you were able to measure marketing’s contribution in a way that’s simple and easy for your organization. 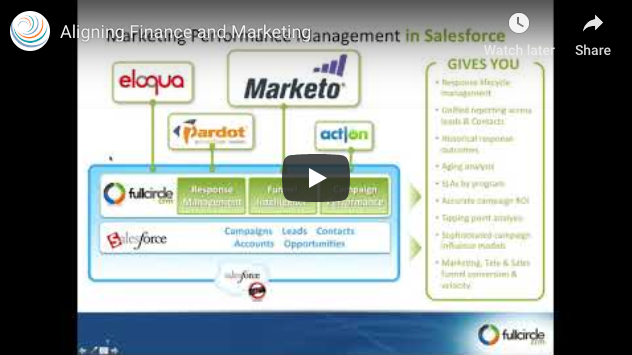 How can I use marketing data in Salesforce to align finance and marketing? What’s the best way to show ROI for my marketing programs? Which marketing metrics do CFOs care about the most?